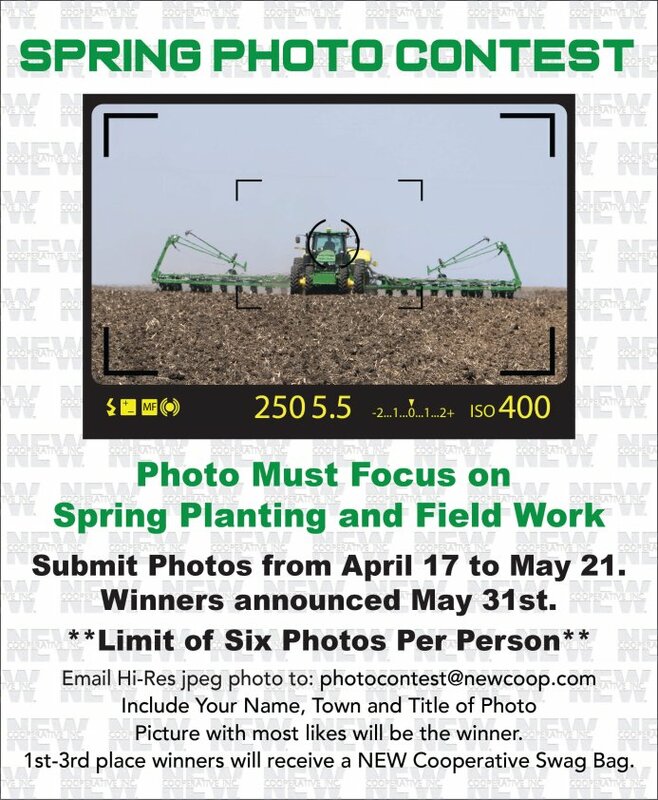 NEW Cooperative Foundation Archives - NEW Cooperative Inc. 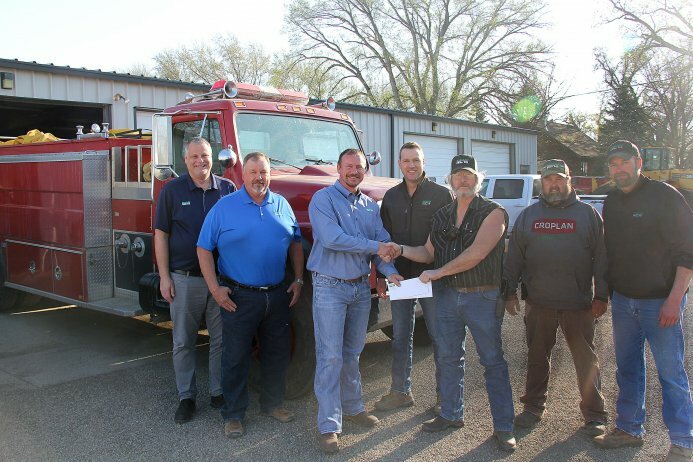 The NEW Cooperative Foundation is pleased to present a donation to the Ute Fire Department. The Ute Fire Department has purchased a 4×4 Quick Attack Fire Truck. This truck will allow them into areas that the big truck cannot access and respond quicker to grass and field fires quicker. The purchase of the truck will be a great service to the residents of Ute and the surrounding area and will allow the Ute Fire Department to continue to protect and enhance the safety of those they serve. 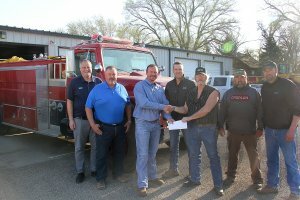 On Thursday, December 27, 2018, Gary Moritz, NEW Cooperative Communications Director, Holly Frerk, NEW Cooperative Communication Specialist, and Brady Goslar, NEW Cooperative Ute Location Manager, representing the NEW Cooperative Foundation along with the Land O’ Lakes Foundation presented checks to members of the Ute Fire Department in the total amount of $5,000. 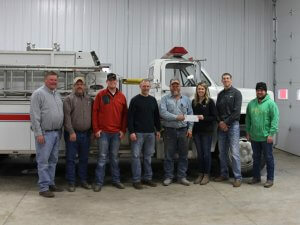 Picture from L to R: Gary Goslar, Ute Fire Chief, Holly Frerk, Communication Specialist, Brady Goslar, NEW Cooperative Ute Location Manager and member of Ute Fire department, Matt Leitz, Gary Moritz, NEW Cooperative Communication Director, Terry Rude, Lonnie Carlson, Josh Gotto, Robbie Gustin. 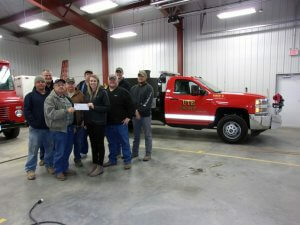 The NEW Cooperative Foundation presented a donation check to the Hornick Fire Department. A check from NEW Cooperative’s Foundation along with a check from Land O’Lakes Foundation were presented on December 27, 2018. 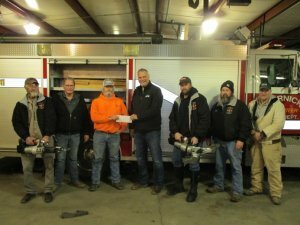 The $2,500 in funds will help with the cost of updating Hornick Fire Department “Jaws of Life” equipment. The set of “Jaws” will be great improvement to serve the residents in the Hornick area. Picture from L to R: John Carr, Dale Ronfeldt, Curt Crichton, Gary Moritz, NEW Communications Director, Ben Ronfeldt, Matt Scheer, and Dirk Hansen. 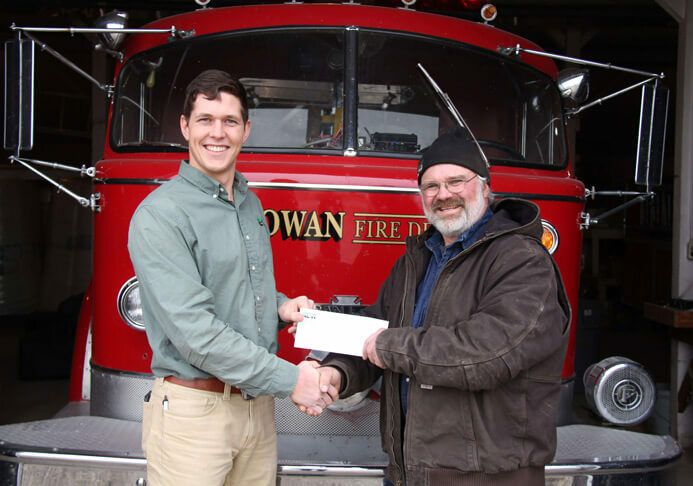 The NEW Cooperative Foundation presented a donation check to the Rowan Fire Department. A $2,500 check from NEW Cooperative’s Foundation along with a check from Land O’ Lakes Foundation was presented on December 21, 2018. The $2,500 in funds will help provide new air packs for the fire department. The fire department provides fire protection to the City of Rowan, part of Iowa Township, and supply mutual aid to the NEW Cooperative facility outside of Rowan. With the update of air packs for the Rowan Fire Department, fire fighters will be protected in areas where air quality is poor. Such as smoke of a fire, NH3 fumes, or inside confined spaces. Picture from L to R: Knute Severson, NEW Cooperative Rowan Agronomy Sales Specialist and Mark Bruns, Fire Chief of Rowan Fire Department. 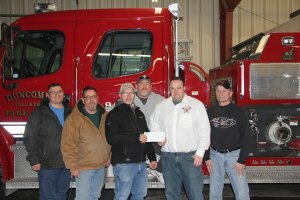 The NEW Cooperative Foundation presented donation checks to the Knoke Fire Department. 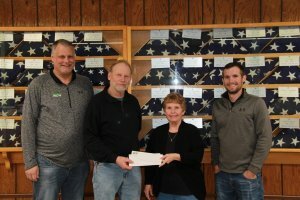 A $4,000 check from NEW Cooperative’s Foundation along with a matching funds check from Land O’Lakes Foundation were presented on December 21, 2018. 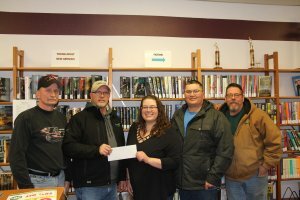 The $4,000 in funds will help to finish Knoke’s new fire station. Recently, a new fire station was built in the town of Knoke, as the old station was out-dated and very small. With the funding provided by NEW Cooperative Foundation and Land O’ Lakes Foundation, they will be one step closer to finishing the fire station and updates needed to protect area people from Knoke and Pomeroy. 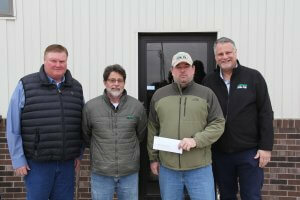 Picture from L to R: Kerry Peterson, NEW Cooperative Board Member, Marlyn Holtorf, NEW Cooperative Pomeroy Location Manager and Member of Knoke Fire Department, Braden Holtorf, NEW Cooperative Pomeroy Agronomy Sales Specialist and Member of Knoke Fire Department, Marshall Stuart, Member of Knoke Fire Department, Randy Nehman, Member of Knoke Fire Department, Holly Frerk, NEW Cooperative Communication Specialist, Troy Melohn, NEW Cooperative Board Member, and Tom Patterson, Member of Knoke Fire Department.